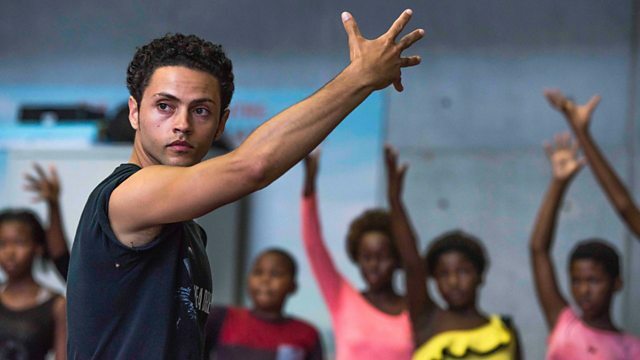 Programme following dancer Dane Hurst, who takes a former Rambert Company vinyl dance floor back to his home in South Africa to provide dance training for underprivileged children. Dance is like a magic carpet - it transported young Dane out of the volatility and violence and poverty of his childhood in segregated Port Elizabeth to life as a Rambert student and dancer in London. He believes it can transport other young people. Buying the floor was the start of a larger dream that Dane calls the Moving Assembly Project (MAP). In the next few years, Dane plans to construct a prototype dance space out of shipping containers in Port Elizabeth, South Africa, and to install the floor in it - to give dance training to thousands of underprivileged children, transporting them for a moment out of their frustrations and grief. This programme follows Dane as he starts on his dream, visiting MAP's pilot project - workshops with vulnerable children at the Ubuntu Centre in the old township of Zwide in the northern areas of Port Elizabeth. We hear modern dance touch local teenagers and Dane visits his childhood dance school in another part of the city's northern areas where he finds children in severe need. Documentaries about dance, dancers and dancing.